EXCLUSIVE AT NET-A-PORTER.COM. 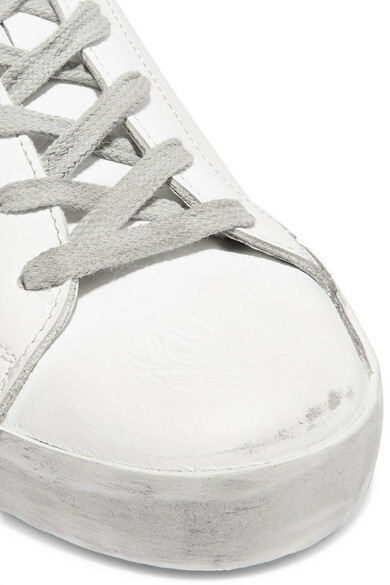 Golden Goose Deluxe Brand's cult 'Superstar' sneakers are inspired by the scuffed-up styles worn by skaters - keep them in mind if you're channeling Spring '19s Californian mood. 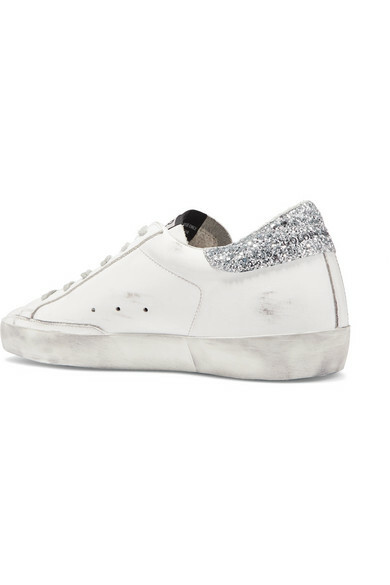 This pair has glittered and neon accents that really pop against the white leather. They've been crafted in Italy by artisans and delicately distressed by hand. Shown here with: MM6 Maison Margiela Skirt, we11done Hoodie, Alexander Wang Belt bag, Sophie Buhai Ring.